Tens of thousands of New Zealanders fought their way through Italy from late-1943 to mid-1945 as part of the vast multinational force assembled to roll back Axis aggression during the Second World War. Although the Italian government had surrendered shortly after the Allied invasion in September 1943, the war in their homeland was far from over. Their former German allies quickly occupied most of the peninsula and would defend it vigorously for the next 18 months. The Italian campaign was New Zealand’s primary combat contribution to the war following the hard-won victory over Axis forces in North Africa. Almost all the New Zealanders who served in Italy did so as members of the 2nd New Zealand Division – a highly competent fighting force affectionately known as the 'Div'. 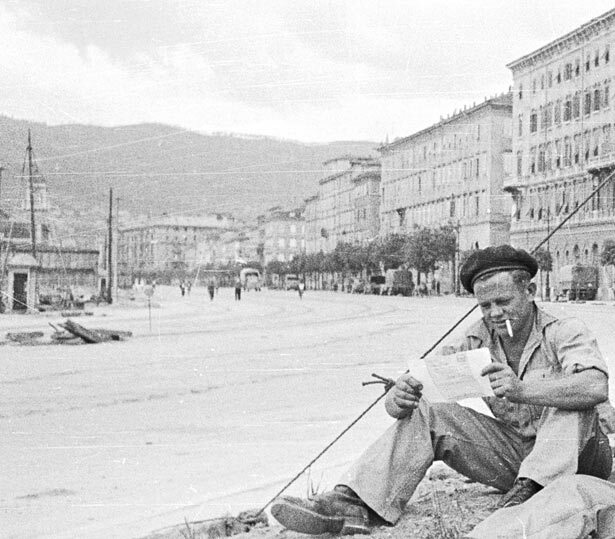 The men of the Div endured harsh winters and 18 months of gruelling combat before ending the war in the city of Trieste in May 1945. The legacy of the campaign was profound and long-lasting: more than 2100 New Zealanders were killed and 6700 wounded during the liberation of Italy; placenames like Orsogna, Cassino and Faenza continue to evoke the memory of their contribution and sacrifices. We have 9 biographies, 16 articles, related to The Italian Campaign.